Attorney David S. Zuckerman has been named by the American Institute of DUI Attorneys (AIDUIA) as one of the "10 Best" Attorneys in Pennsylvania for DUI Defense in 2017-2018. Whether it's one drink too many or a night of excess, Driving Under the Influence charges can impact your freedom, job opportunities and family relationships. Even a First Offense DUI carries mandatory jail time, license suspension and fines. Whether it's your 1st DUI Offense or you are a 2nd DUI or Repeat DUI Offender, your first call should be to an attorney who has experience prosecuting and defending these cases in Western PA. Attorney David Zuckerman of the Zuckerman Law Firm LLC once prosecuted DUI cases for the Allegheny County District Attorney's Office, and uses this experience to defend clients throughout Western PA. 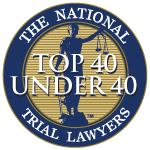 He is a member of the National College of DUI Defense and is a 10 Best for Client Satisfaction award winner from the American Institute of DUI/DWI Attorneys. Disciplinary action for college or graduate students who receive a DUI conviction. Repeat DUI offenders face more severe penalties than 1st Offense DUI offenders. Our office can analyze the specific penalties you are facing on your case during our initial consultation. HOW CAN A DUI ATTORNEY HELP MY CASE? Acceptance into the Accelerated Rehabilitative Disposition (ARD) program for first-time offenders or the Phoenix Court program for 2nd time offenders. Attacking weak eyewitness testimony through skillful cross-examination. Police lacked probable cause to arrest you or reasonable suspicion to stop your vehicle. Police get your blood test results and medical information from the hospital without a valid search warrant. Police take statements from you in violation of your Miranda rights. Medical symptoms (allergies, difficulty walking) are misinterpreted as evidence of your intoxication. Use of Field Sobriety Tests that are not approved by the National Highway Traffic Safety Administration. The officer does not properly administer the Field Sobriety Tests in accordance with the National Highway Traffic Safety Administration guidelines. The improper collection, storage, and transfer of blood evidence to the crime lab. The crime lab fails to follow proper operational procedures. Inaccurate scientific principles used by experts to calculate your blood alcohol content. Inaccurate breath tests due to alcohol and airbag particles in your mouth, burping, vomiting, and acid reflux. The failure to properly watch you for a 20-minute period before your breath test. The failure to properly calibrate and maintain breath testing machines as required by law. The use of simulator solution that does not comply with Pennsylvania Regulations. WHAT TYPE OF CASES DOES THE ZUCKERMAN LAW FIRM TAKE? Homicide by Vehicle While DUI. Fleeing and Eluding While DUI and Non-DUI. DUI with Refusal of Blood or Breath Test. DUI with BAC from .08% and Above. DUI for Minors with BAC of .02% and Above. Accident with Attended and Unattended Vehicles. Driving While License Suspended: .02% and Above, DUI Related and Non-DUI Related. All Traffic Offenses and Citations. Don't wait. Call us today at 412-447-5580 for a free, confidential consultation on your DUI case.